Cycling to autumn leaves peeping spots in Kyoto! Autumn leaves and cycling are a nice combination in Kyoto, especially if the weather is not too hot (which is usually is not this time of year). The area of Kyoto around Tofuku-ji Temple is nice for cycling, as there are quite many temples in the area easily accessible by bicycle. Just note that some parts of this area are quite steep, so be sure to take some snacks with you to keep up your stamina. Tofuku-ji Temple is easy to find, not too far from Kyoto Station, and there is a nice burger restaurant close by, Dragon Burger, which also offers breakfast, so you won’t have to go on your cycling trip hungry. Unryu-in Temple is a sub-temple of the one below, Sennyu-ji Temple, and although it’s a sub-temple, it has had such strong connections with the Imperial Family that it was actually considered to be on the same level as the head temple. As the temple is very close to Sennyu-ji Temple, you only have to look for a place to leave your bicycle close to one of these temples, and then walk from one to the other. 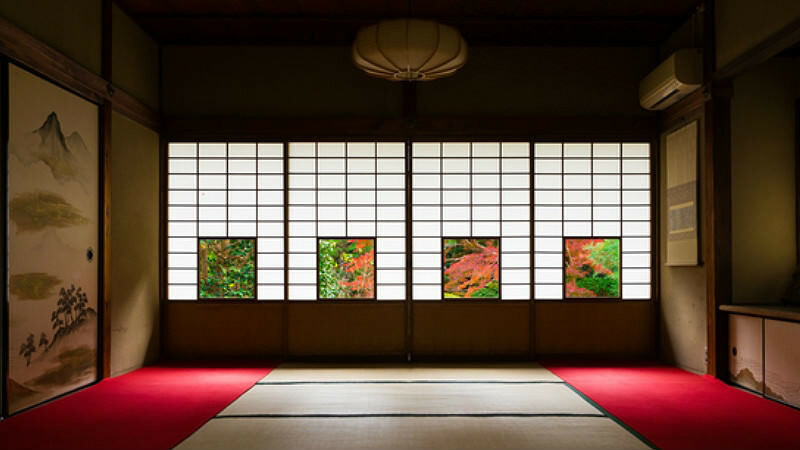 This temple is famous for its lotus room, “Renge no Ma,” which has four square windows in its folding doors, which let you see four distinct parts of the garden. 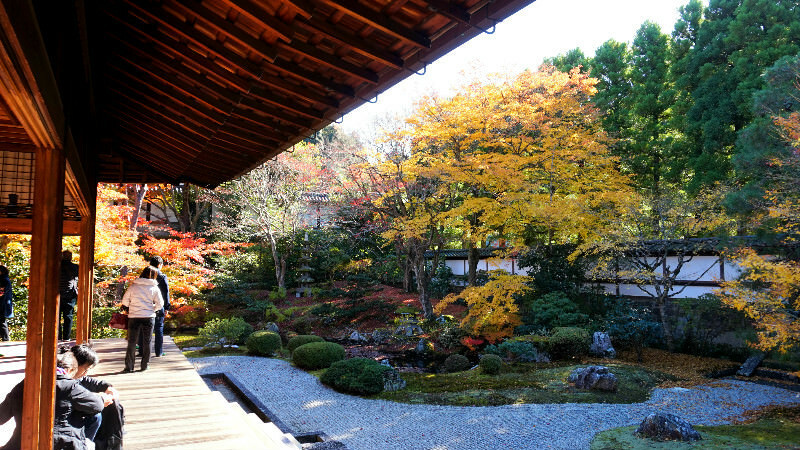 This is a great spot to view the garden any time of the year, but the view in autumn is especially nice. This temple is also related to the Imperial Family, and in the Edo period, many of the funeral ceremonies for emperors were held here. This is also why the temple has the official name of Mitera Sennyu-ji Temple, which is an honorary name showing the importance of the temple. The temple is some way up a hill, so if you’re not in good shape, you might have to push your bicycle up the hill, but it should be worth it to see the autumn leaves of Sennyu-ji. And as it’s not quite as easily accessible as Tofuku-ji Temple, it shouldn’t be quite as crowded. Hana Ice is a soft serve shop run by a sweet lady, who takes Kyoto and Kyoto’s culture of miso very seriously. So seriously in fact that she makes her soft serve by mixing soymilk and white miso, so the soft serve has a nice slightly salty taste to it. 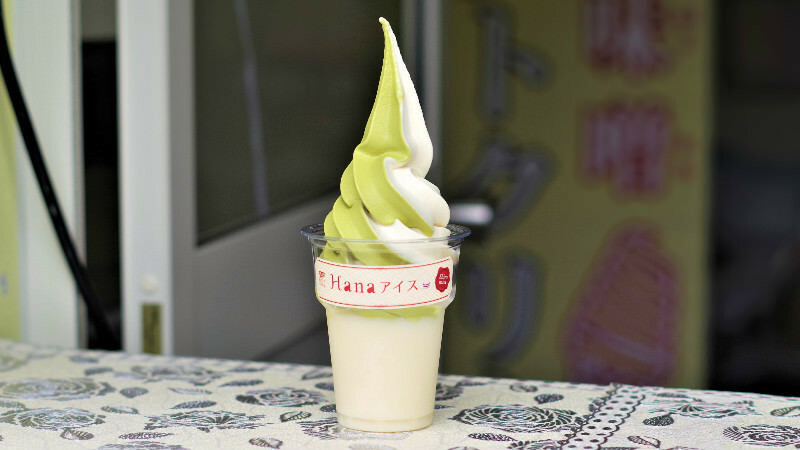 If you don’t like miso, Hana Ice also has matcha soft serve. And after a long day of cycling, nothing tastes better than a half-and-half of white miso and matcha soft serve. 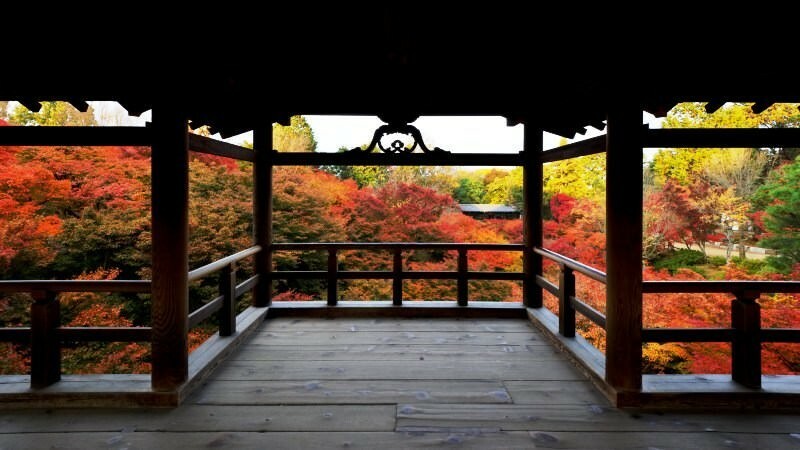 Part 4Cycling to autumn leaves peeping spots in Kyoto!